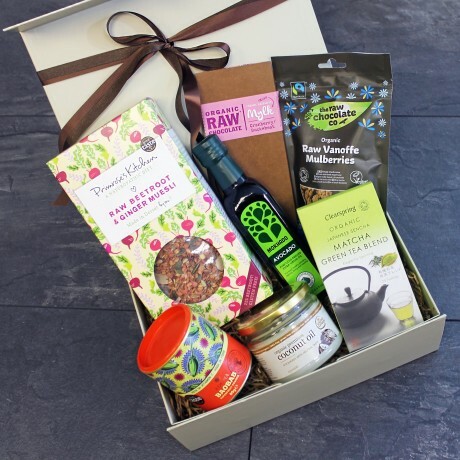 You won't be disappointed by the contents of this Luxury Superfood Power Hamper! The Goodness Project team has chosen the best high-quality superfoods from around the world to delight you or your loved one. 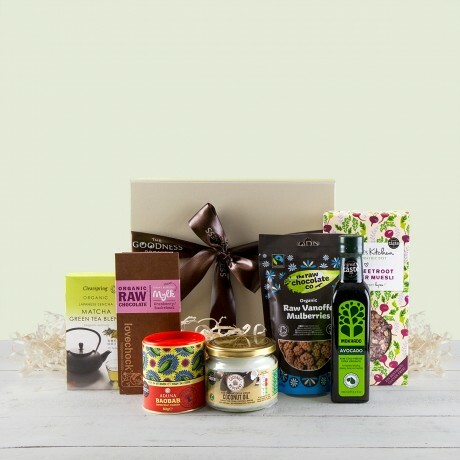 Scrumptious raw organic chocolate delights, energising superfood powders and healthy premium oils are beautifully packed in a luxurious gift box and hand tied with a classic ribbon - perfect gift for the healthy foodie. All items are suitable for vegetarians, vegans and are gluten-free. Presented in a luxury gift box, wrapped in lovely tissue paper with ribbon. Don't forget to add your FREE GIFT MESSAGE.